New and improved design to replace the current LTI-USB Interface Cradle. Uses drivers from Windows OS so no need to install proprietary drivers. Compatible with all standard LogTag products. 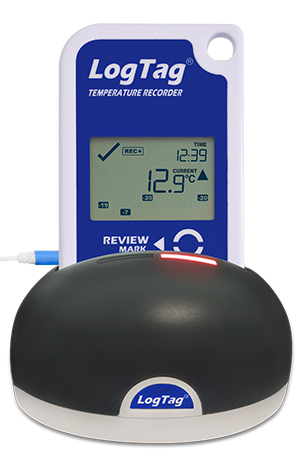 LED Indicators to identify what action the Interface is performing. The new LTI-HID desktop USB interface cradle replaces the current LTI-USB interface. The LTI-HID uses interface drivers that are built into all currently supported Windows OS versions, so there is no longer any need to install proprietary drivers. 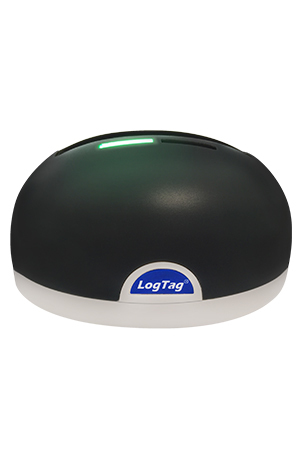 The LTI-HID is compatible with all standard LogTag recording products having 3 silver contact pins in the lower rear case. The LTI-HID uses the proven and reliable spring contact arrangement taken from the LTI/USB. The LTI-HID incorporates a micro USB socket for connection to a computer.